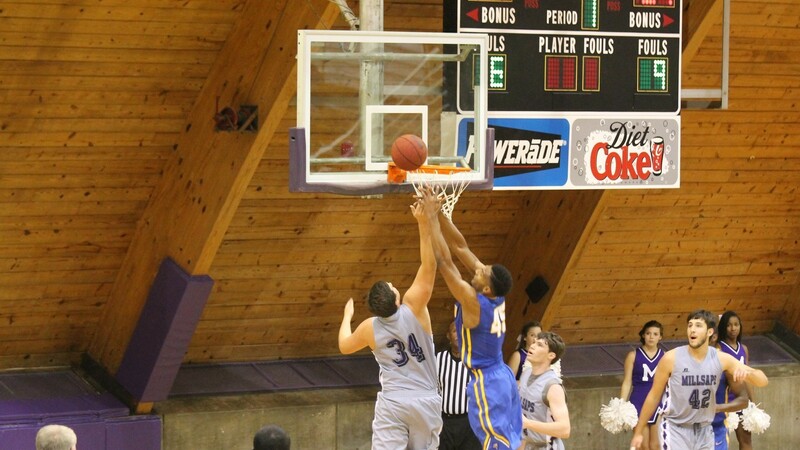 The men and women’s basketball teams took to the Hanger Dome Tuesday night for midweek matchups against LeTourneau. The night held opposite fates for the Majors as the women’s team prevailed, 71-65, and the men’s team lost 77-70. Comeback was the word of the night for the Millsaps women’s basketball team as the ladies rallied from first and second quarter deficits to record their second-straight win of the season. Junior Kim Klunk drained a three-pointer with 31 seconds left in the third to give the Majors their first lead in nearly three quarters of play. The Millsaps bench was one of the stars of the night, outscoring LeTourneau’s bench 38-15. Senior Miah Brooks tallied 14 points from the bench, while Katie Conner and Randle were right behind her with 13 and nine points respectively. The winning streak came to a close over the weekend as the Majors women’s basketball team lost its first two road games against Centenary College and Austin College by final scores of 54-46 and 76-68 respectively. The Majors will look to rebound after Thanksgiving when they take on Rust College on the road Dec. 1. The midweek game was not as successful for the Millsaps men’s basketball team; the loss dropped the team to 0-2 in the still early season. The Majors played strong in the first half as they carried a 20-13 with eight minutes left in the first. But the Yellow Jackets rallied back and took a 30-28 lead heading into halftime. Even though the Majors attempted a comeback in the second half, the Yellow Jackets held the lead for the remainder of the game. The losing streak did, however, continue for the Majors as they lost the pair of weekend road games 88-55 and 66-63. The Majors will look to pick up its first win Tuesday as they face hometown rival Belhaven at home. Tip-off is set for 7:30 in the Hanger Dome.